Both diverse in terms of population and geography, Oregon can be found in the Pacific Northwest of the United States of America, sandwiched between Washington, Idaho, California, and Nevada. For those how to have an avid love for the great outdoors but also like to be able to mingle with the hipsters and city dwellers, Oregon is the place for you. Relocating to Oregon would see you gain the best of both worlds and a little bit more! Although the Oregon state capital is Salem, the city of Portland is where the action is at. This city is famed for its progressive and trendsetting culture. Coffee lovers need to head to Portland for this city is home to some of the USA’s best baristas; with this level of competition, everyone is upping their game. As you’ve probably guessed already from our introduction, many of our best places to live in Oregon will be suburbs of Portland. This is not only a thriving city with a bustling business district but a city with vibrant and exciting suburbs too. Bethany is no exception; home to 22,346 people this suburb has it’s own small town feel to it. The home value here is inflated compared to the national average at $412,300 but with median household income being over $110,500 a year, this area is more than affordable for those who reside here. Locals say that they welcome the rapid development in the area and that it has created a successful and satisfied community here. This is a very safe suburb with a good number of commercial outlets to provide for all who live here. 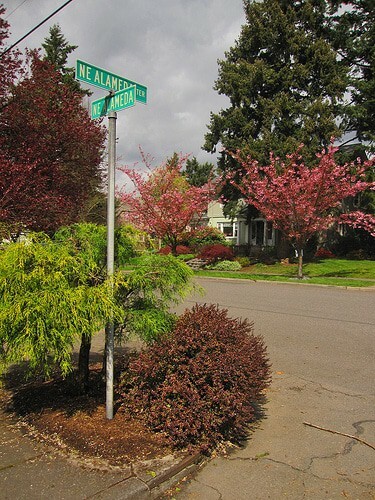 Another all-round wonderful suburb of Portland is Northwest Heights. This is a smaller, more exclusive area of Portland, home to just 9,769 people. Being closer to the CBD the home value here is greater than that of Bethany; home value is on average $568,467. In reality, if you’re looking for a family home you need at least $600,000 to play with but should a condo or apartment be what you seek, a budget of $410,000 would suffice. Northwest Heights is ranked at the best place to buy a house in the Portland area according to niche.com and in turn, this has been noted as the best neighbourhood to live in Portland…what’s more to love? Healy Heights can be found in the West Hills, southwest of Portland’s CBD. For anyone who wants to remain within the city limits with the option of breaking free and reconnecting with nature should the tide take them, then Healy Heights is the place to be. The Marquam Nature Park featuring the popular Flicker Trails borders the Healy Heights neighbourhood. Being on the very outskirts of Portland and home to just 1,500 people, there is a real village-like free to the area. Arnold Creek is very much on par with Bethany in terms of house prices and cost of living. The home value here lies around $429,518. 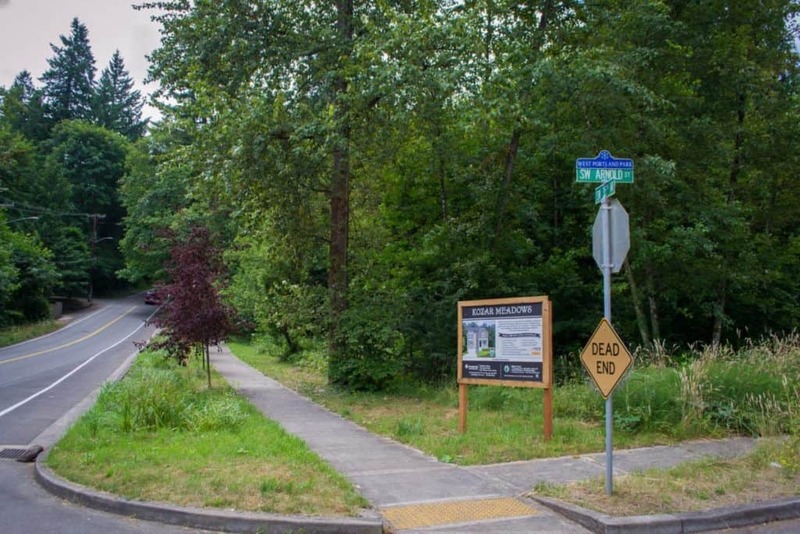 Whereas Bethany has a suburban feel, Arnold Creek is closer to Portland city centre and thus adopts a far more urban feel. Home to 9,343 people, this is a friendly and close-knit community area, which is great considering the proximity to the city centre; in other cities, such proximity would create a certain anonymity and loss of community feel. 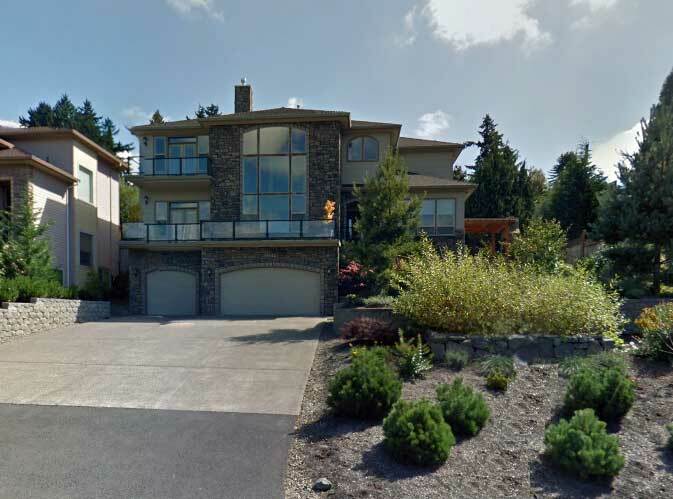 This is, again, a rather affluent neighbourhood with most families earning $115,900 a year, residents note there is a certain twee-ness to the area but once you’re acquainted with your neighbours you’ll fit right in. 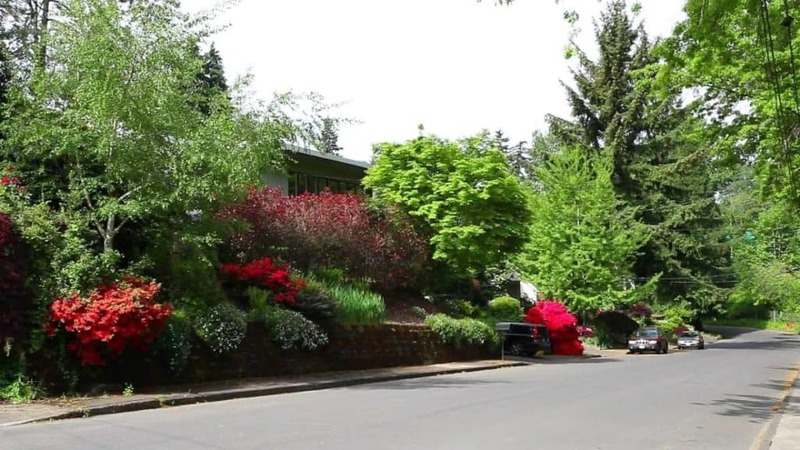 With Oregon Zoo, Washington Park and the Portland Japanese Garden all falling within the lines of the suburb of Southwest Hills, this is a highly desirable area to live in. We won’t beat around the bush, this is an upscale area with countless restaurants and diners offering breathtaking panoramic city views. Being the hip side of town it will come as no surprise to read that median home value is $630,501 but it is a small price to pay to be at the very heart of the action. Many condos on the market boast impressive views of the city skyline and these homes don’t stick on the market for long, so if Southwest Hills is where you want to be based you better be on the ball. 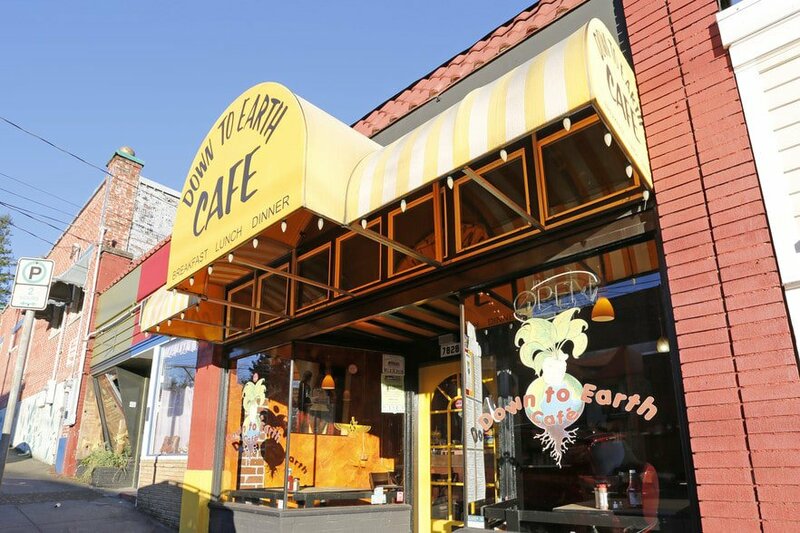 Arlington Heights is another small, welcoming suburb of Portland. There are just 2,800 people who live here creating a city-village atmosphere to the area. As with all suburbs of Portland on our list so far, crime levels here are near non-existent. This close-knit community adopt a neighbourhood watch policy that helps keep crime out of the area. Parents will be pleased to hear that there are 19 outstanding public schools in the Arlington Heights area. Lincoln High School is one of the best schools in the state. 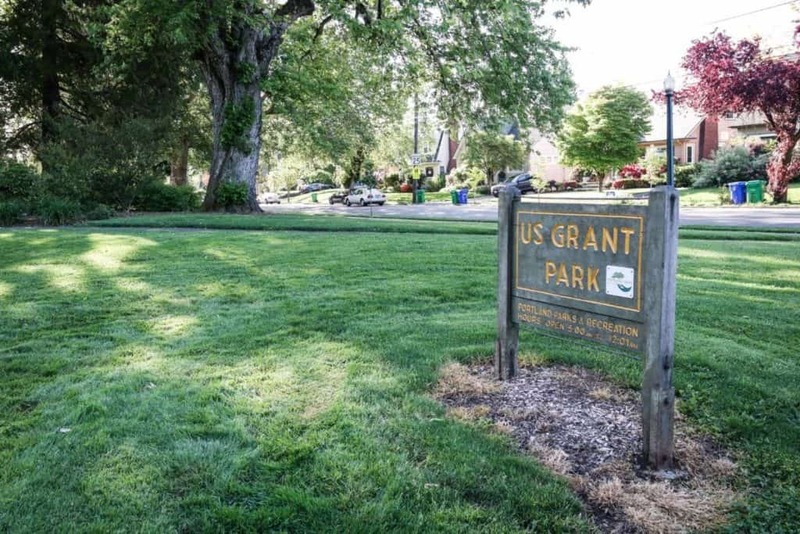 This suburb neighbours Southwest Hills and as such is ideally close to Washington Park, Oregon Zoo, and the Portland Japanese Garden too. A little further out from Portland’s CBD than Arlington Heights and Southwest Hills is Beaumont-Wilshire, home to 8,273 people. There are some gorgeous townhouses on the market here in Beaumont-Wilshire. With home value lying at $462,403, it is still not the most affordable area to live in Oregon. Frustratingly again median rent is pretty high too, at $1,581 a month which makes it hard for millennials to move in, in particular. Portland’s thriving economy is serving its residents well, for Beaumont-Wilshire is another neighbourhood where the median household income is over $100k a year. Considering that 32% of the residents have a Master’s degree or higher, this high income can be attributed to the high levels of education in the area. Alameda is certainly an urban area, for those who want the easiest possible access to Oregon’s great hikes and trails perhaps stick to the Healy Heights districts. 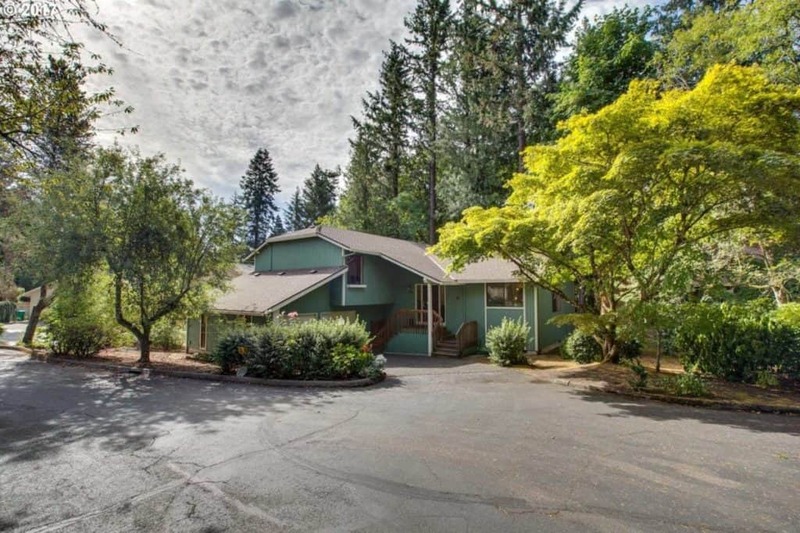 The home value here is rather dear but this can be explained by the close proximity to Portland’s main business hub. Properties here are more than easy on the eye. These spacious town houses are something of an American dream. That said, at the lower end of the scale there are more cottage-like, humble family homes for under $650,000. You’ll seldom get change from $800,000 should truth be told. This is a great area for families to live, with 23 schools in the district and 21% of residents being of school age there is plenty going on for youngsters. Lying just north-west of Healy Heights is the urban hamlet of Bridlemile, home to 7,138 people. Although a suburb of Portland on paper, Bridlemile is a destination in its own right. Locals love Cafe Du Berry and Oak and Olive Restaurant so be sure to arrange a dinner date with your new neighbours should you move in! Compared to Alameda, Bridlemile has a more pleasing cost of living. This is the first area on our list of 15 best places to live in Oregon where the median rent is less than $1000 a month. With rent costing tenants $897 on average per month, this area is a hotspot for people saving to get on the property ladder in the Portland area. One resident of Grant Park says that the area is so safe that should she forget to lock her car she seldom rushes to go and secure it. Perhaps this can be attributed to the affluent nature of the area with most families earning upwards of $110,000 a year or perhaps due to the small population of just 4,700 people. Either way, its comments like that that instantly put newcomers at ease, right? Sadly, tenants will be disappointed with rent value here for we have jumped back up above the $1000 a month mark to $1,376. Given that Grant Park is right in Portland’s bustling hub, this is a fairly reasonable cost, bear that in mind. Parents who work in the city would do well in Grant Park, with 19 schools in the area youngsters have a solid start in life and there are plenty of entertainment facilities around to keep everyone happy and active. Nestled in the southwest area of the Portland’s far reach is the neighbourhood of South Burlingame, home to just 5,278 people. Being set a little further away from Portland’s booming business centre South Burlingame is far more affordable for the average working family. Home value is $360,000 and properties here just have that bit more space to grow. Quality of build cannot be faulted in this area, for sure. For $590,000 you can invest in an impressive 5-bedroom family home, with 3-bathrooms to match, on View Point Terrace. With 20 public schools in the South Burlingame district from elementary to middle and up to high school, children here are on the receiving end of some of the USA’s best educational offerings. 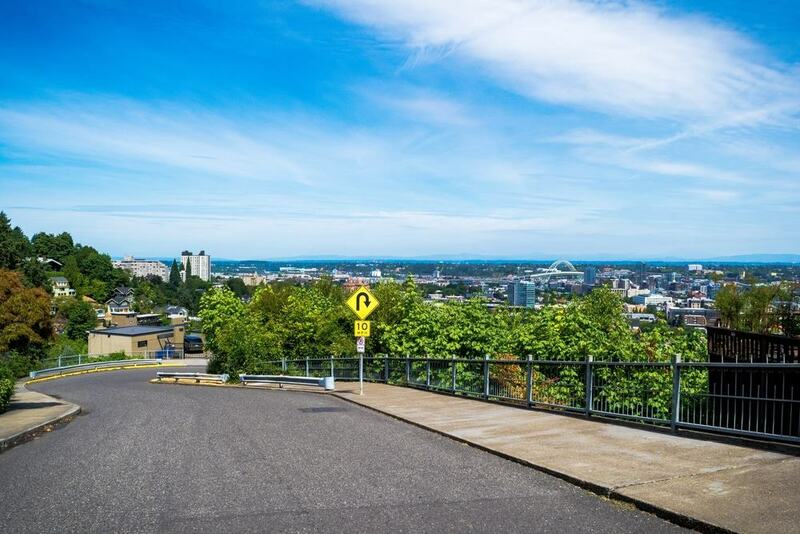 Portland really is as good as we’re making it out to be and with such a great city offering such a range of wonderful suburbs why would you look elsewhere in the state? Marshall Park is a small but happy suburb and with the Marshall Park Playground within walking distance of nearly every home in the neighbourhood it is a great place to settle down and raise a family. In many other cities around the world being this close to the city centre would mean high crime rates but not in Portland and not in Marshall Park. This is one of the safest suburbs of the city. With no violent crimes being reported in years. Sitting just north of Arlington Heights is the suburb of Hillside. For those city workers who feel the need to be close to Oregon’s great greenery then Hillside is a great place to build a home. With Macleay Park to the north and Washington Park to the south, there are no excuses to not get outdoors and get fit while living in Hillside. House prices here are a little more aspirational, at $700,021 on average this price does exclude many groups of people from finding a home here. That said, should you not need the large spaces required to raise a family, you can find a quaint and cosy condo here in Hillside for as little as $400,000. According to local people there are 12 different Starbucks in the Collins View area, you’ll surely always be able to get your caffeine fix while living here! This is another affluent area of Portland where the average annual income is upwards of $115,00. It will come as little surprise to read that this is a highly educated area too with 31% of people having a degree and 41% owning a Masters. Should parents want their children to grow up around focused, educated, career driven neighbours then Collins View is the place to be. Last but by no means least on our list of 15 best places to live in Oregon is Markham. There are 4,369 people who call this neighbourhood of Portland home and if their reviews are to be believed they are very happy with their lives here. Markham is one of the best places in the Portland area to buy a home and with median home value at $329,601, it is one of the most affordable areas too. Considering Markham is noted as an urban area, looking at the houses on the market right now they all boast expansive gardens with tall trees for shade and privacy. The best of both worlds for sure.